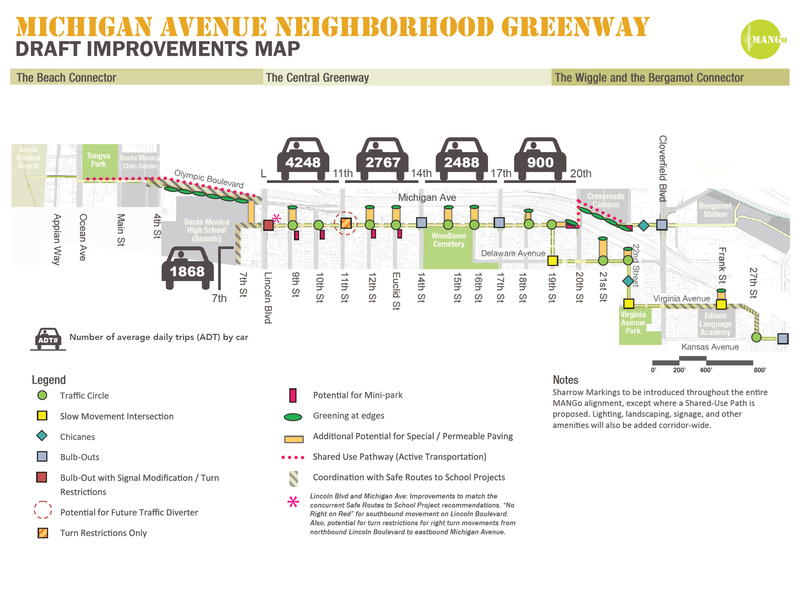 This information is very important for creating the safe Neighborhood Greenway we want by prioritizing local, over regional car trips and setting maximum vehicle trip goals of 1500 cars per day or less on MANGo. Traffic counts were mostly taken during a 24-hour period either Tuesday, April 23 or Thursday, April 25, 2013 – taken by Transportation Studies, Inc., a company contracted by the City. The segment of Michigan from 14th to 17th is from an EIR from 2005.